The thing I hated the most about quilting on my Bernina was sandwiching the quilt on the ground. I am too old for that.... well at least I feel like I am! It sure was a lot of work. Sometimes I would sandwich the quilt outside on the patio but that was usually pretty hot even under the umbrellas. As I was making this quilt my husband suggested I put some denim fabric in the border. I used some of the old Levis I had for other quilting projects and pieced it together for the 1 1/2" border. I had to re-draft this block because some people had questions about the size of the pieces. The original block was drafted before I got my AutoCAD subscription. 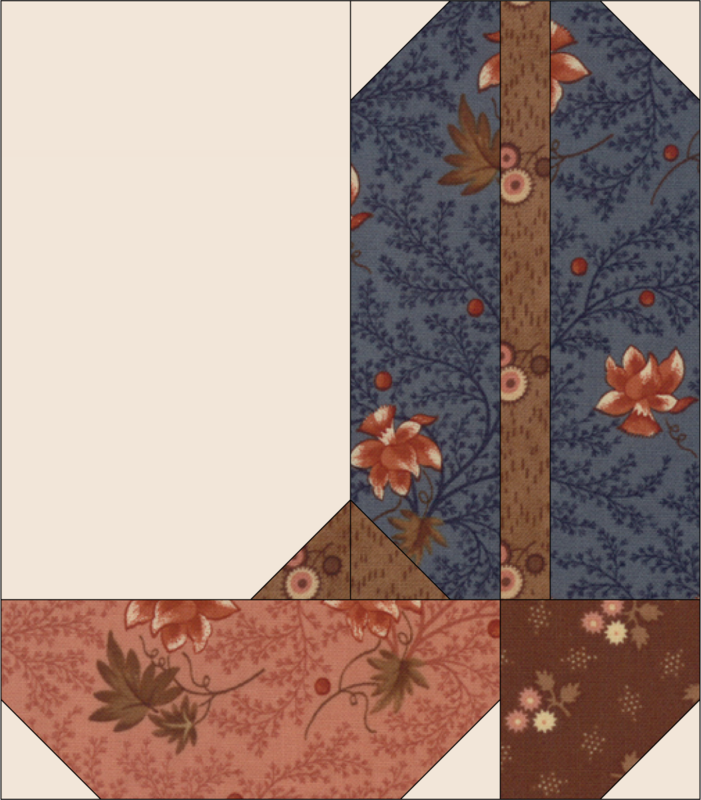 I think I created in Quilt Pro. AutoCAD is a drafting program and it is easier for me to get the dimensions I want. 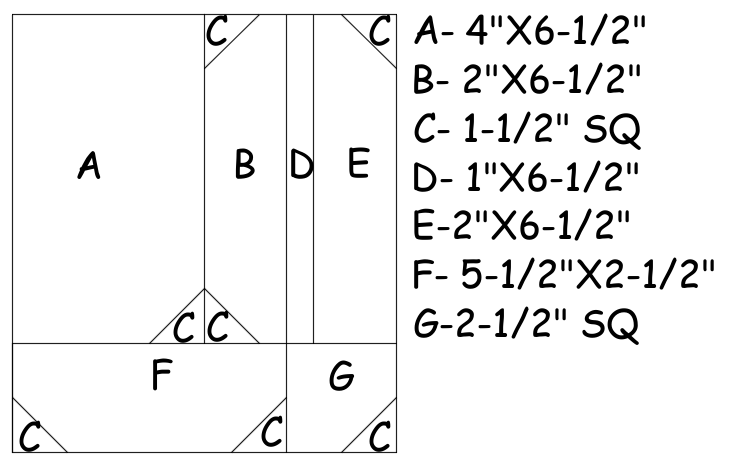 Here is a new block and cutting directions for you. It is not exactly the same as in the quilt but it will be in a new quilt pattern that I will have soon. The fabric in the picture is Moda's Reflections. Here are a couple of pictures of the quilt in progress. I used a bandana print for the background. Here are pictures of the finished quilt. The quilt is about 60" by 78". I may have to make another one in the future. It would probably be a version of this one!